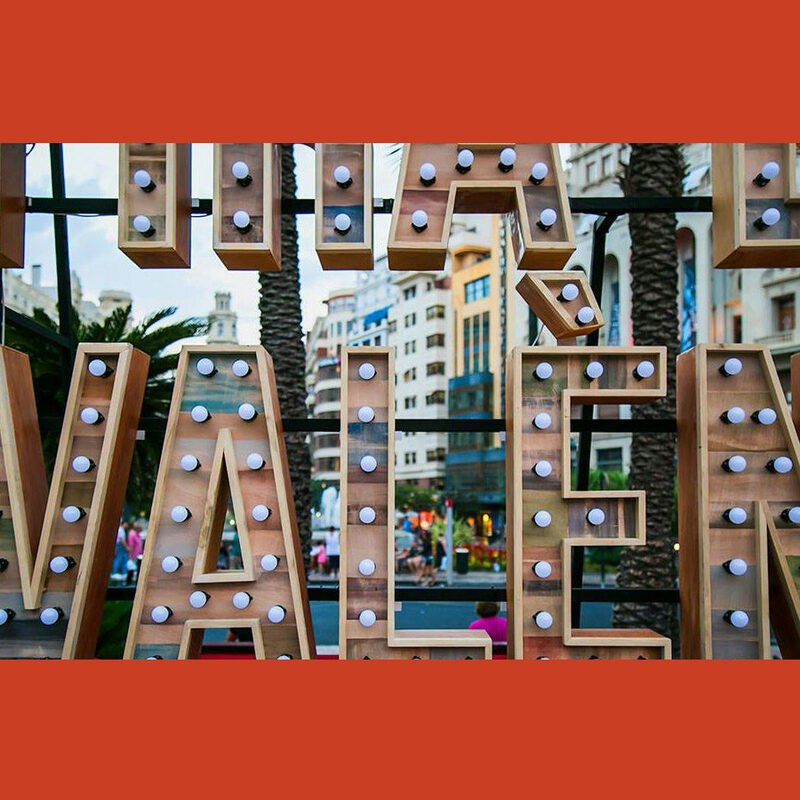 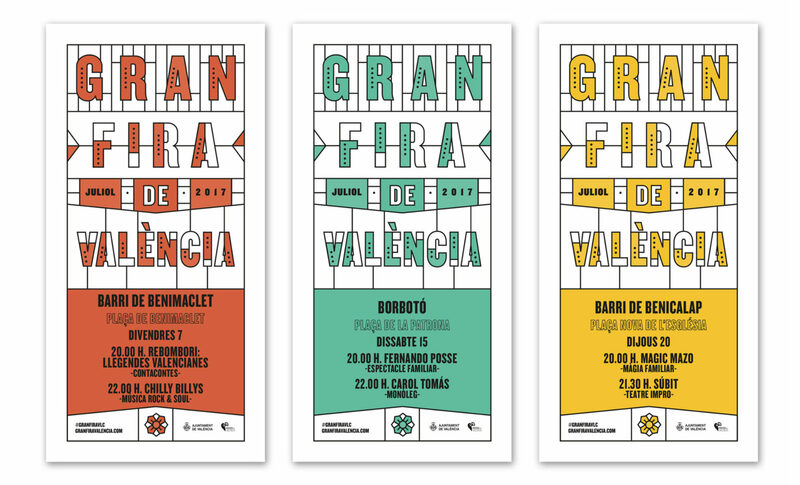 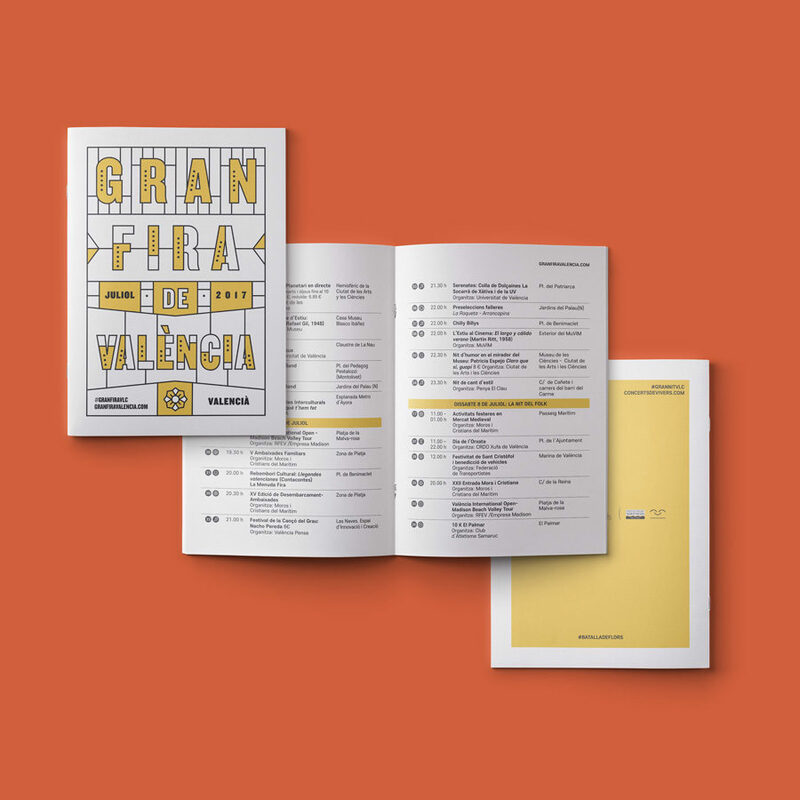 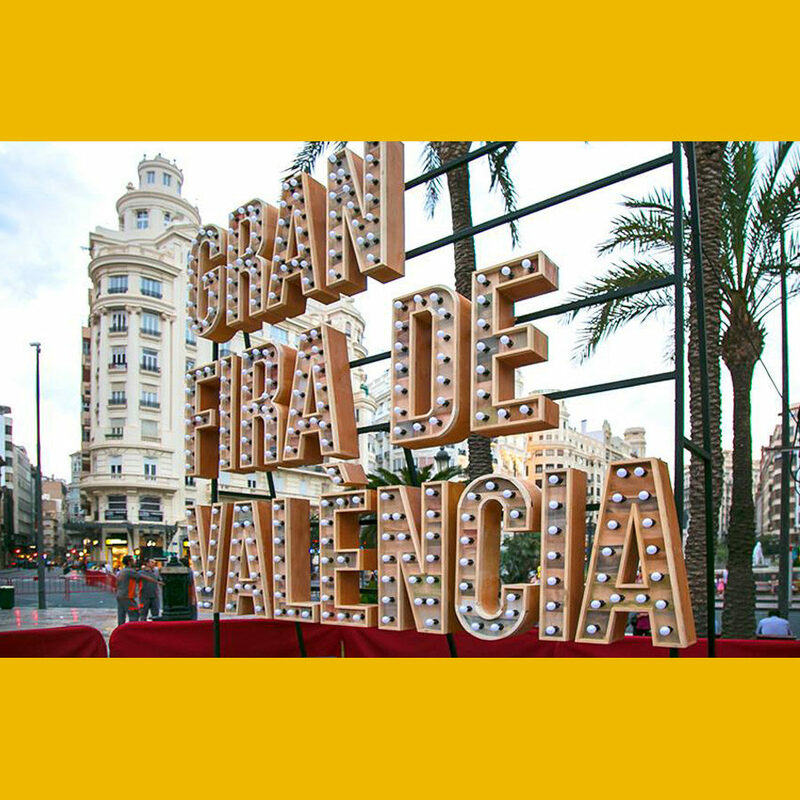 Starting in July 21st 1871, Valencia celebrates its Great Fair, originally created to cheer up the city and attract strangers to alleviate the lack of activity during that vacation month. 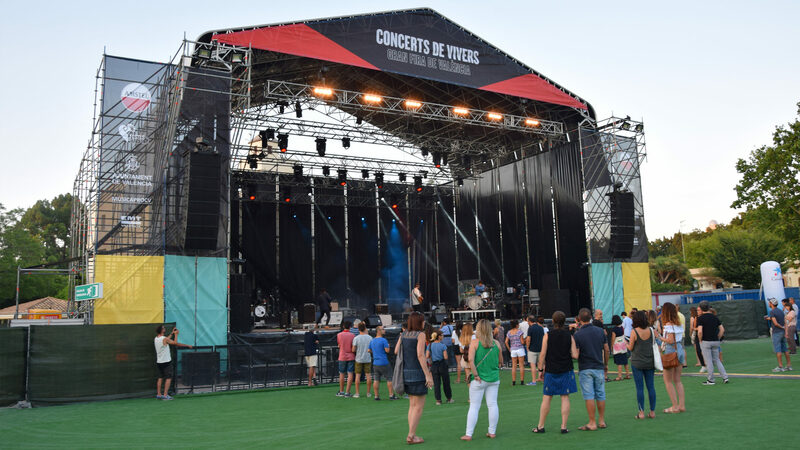 There is a large number of activities such as outdoor concerts and fireworks displays on the seafront. 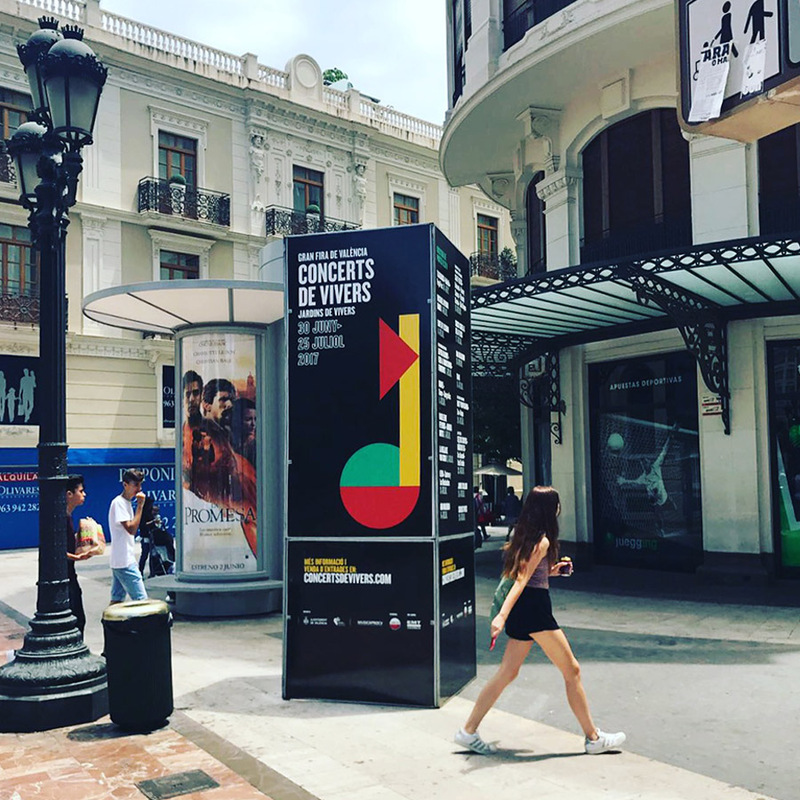 There is also time for culture, with a night when museums are open until dawn, and the Flower Battle, a spectacular ending to these summer days. 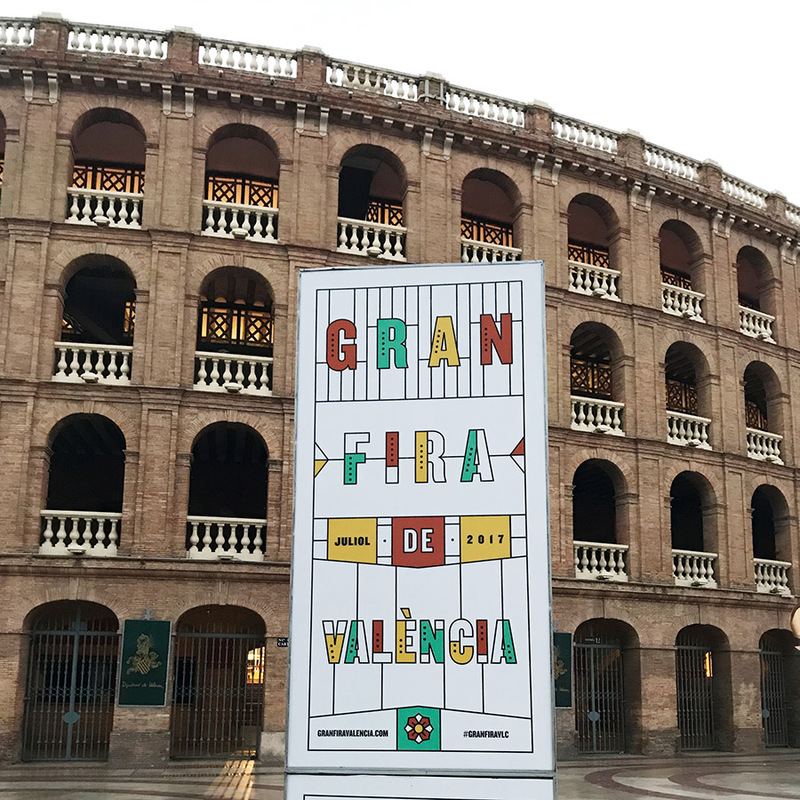 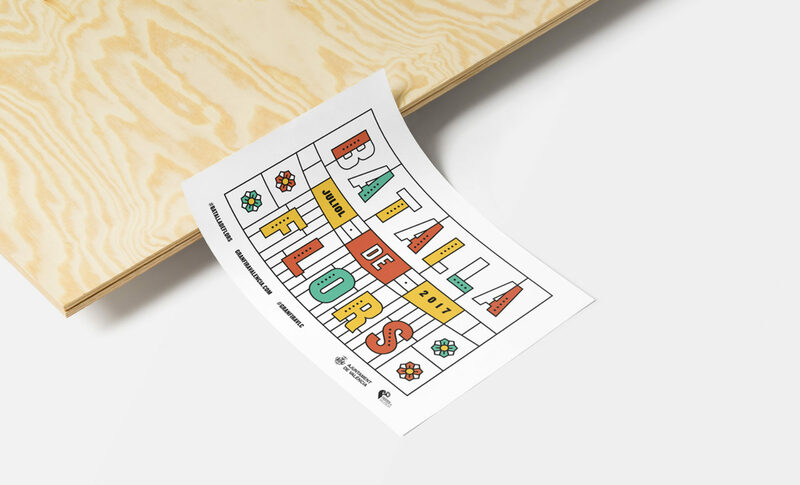 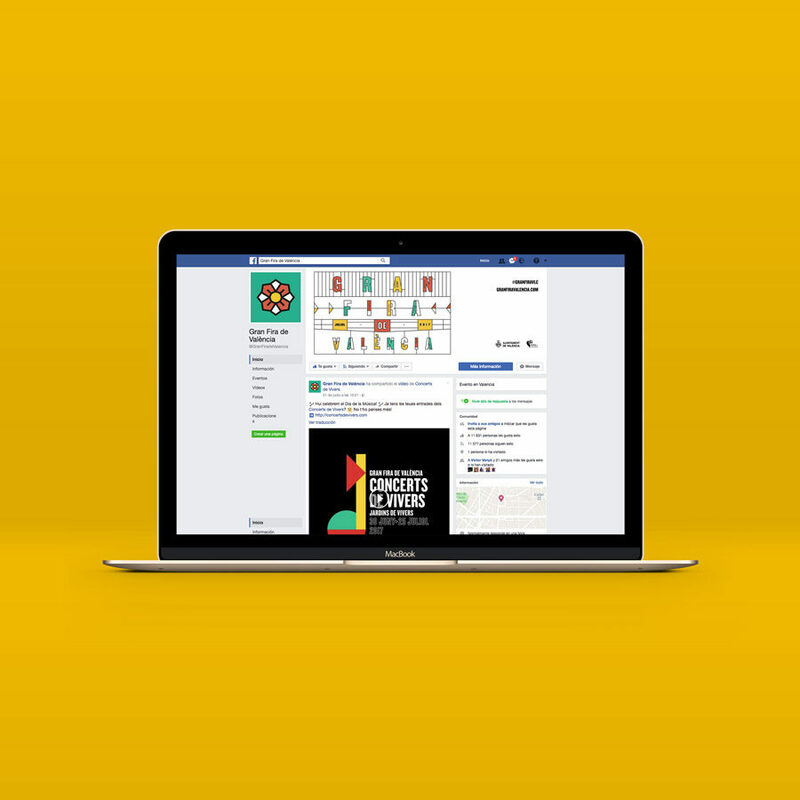 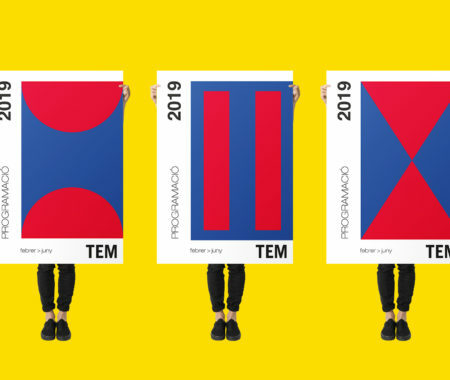 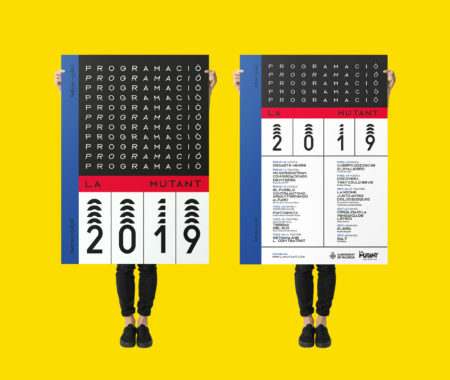 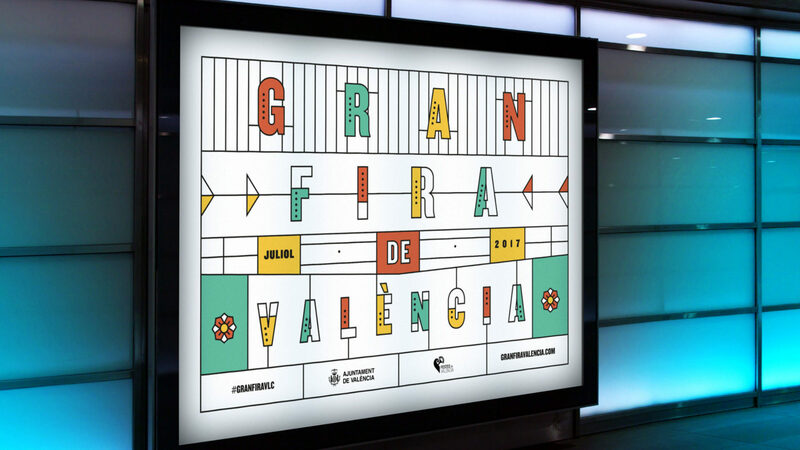 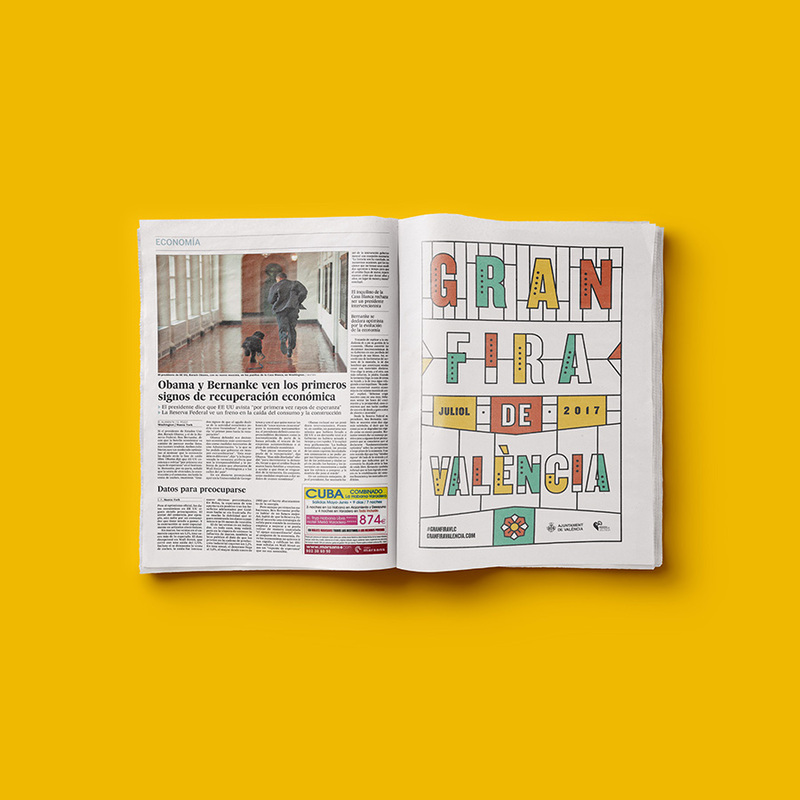 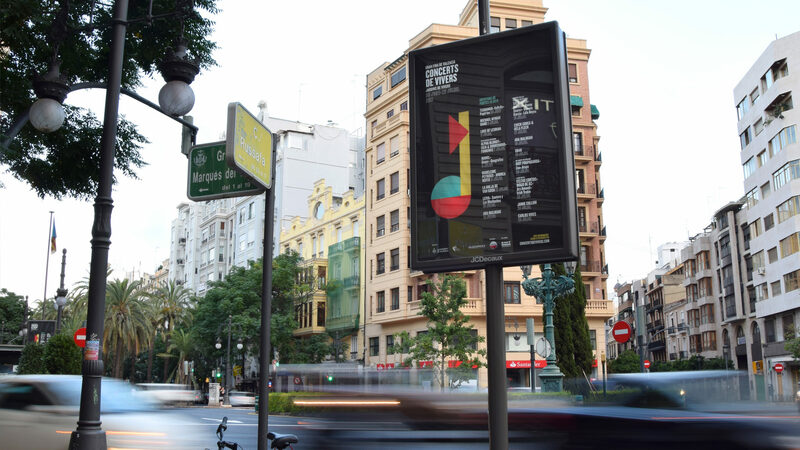 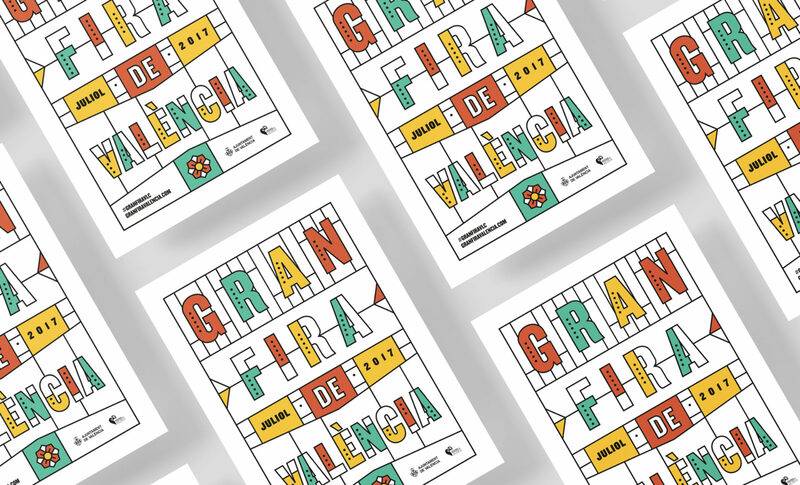 We were commissioned by the Department of Culture and Festivals of Valencia’s City Council to create the image of this great month for the city. 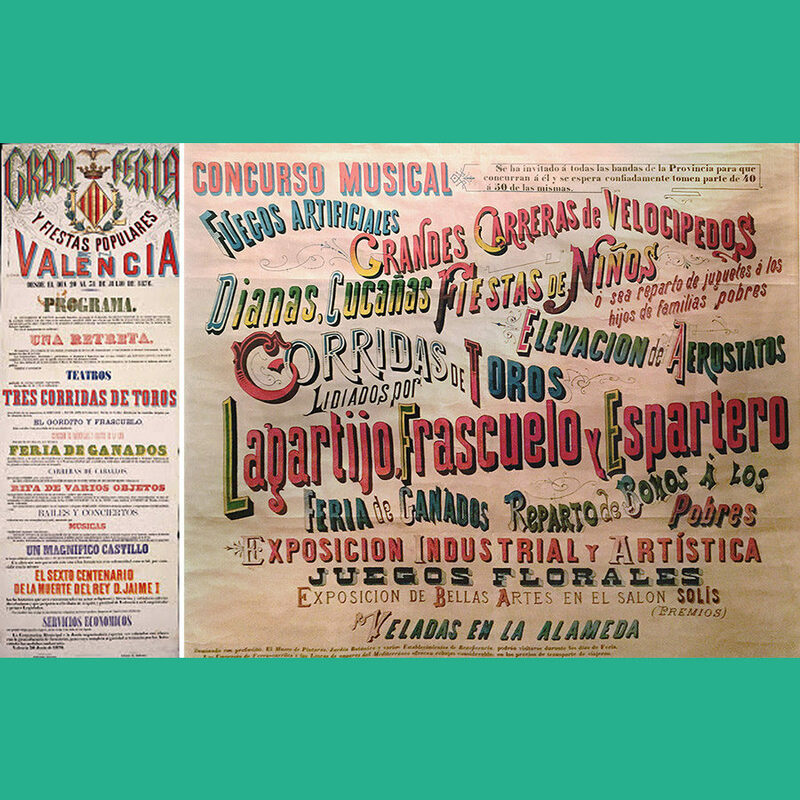 We studied the origins of the Fair, and we found posters that used only typography, with compositions inspired by the signs that used to display the municipal edicts. 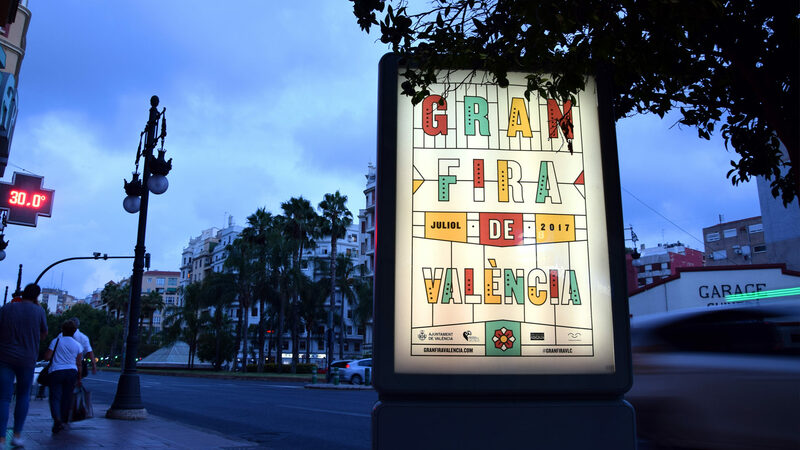 On the other hand, there is a festive reference to three-dimensional illuminated signs, that together with the selected range of colors invite everyone to come to Valencia to join this celebration. 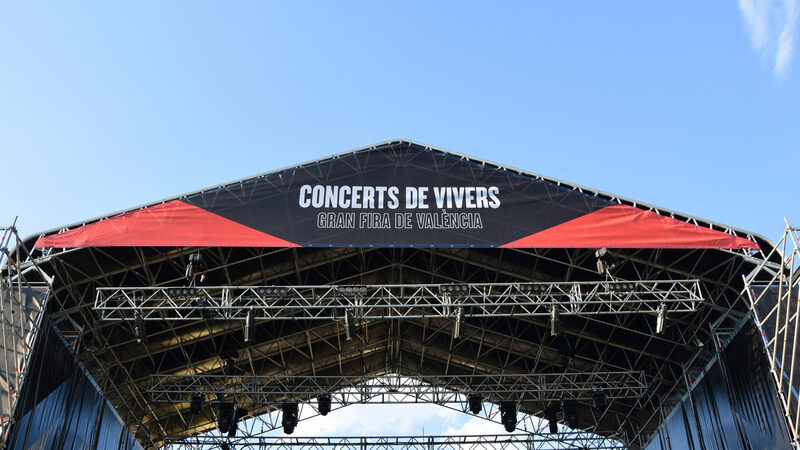 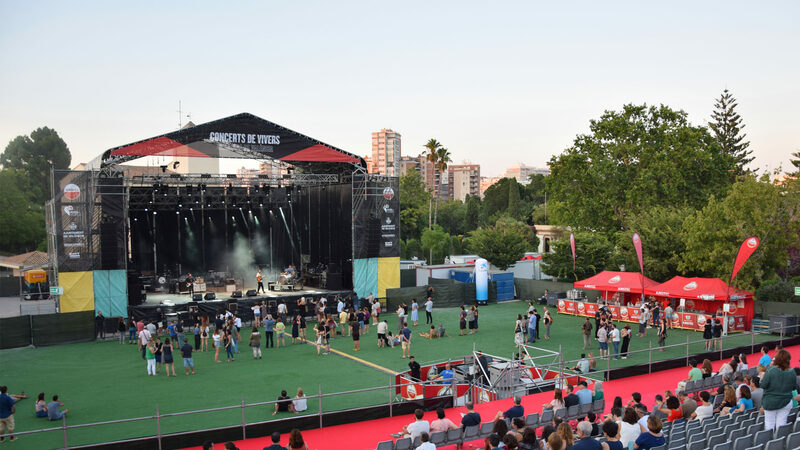 Within the program of activities we should highlight the concerts held at Viveros gardens, a whole month of live music in the open air. 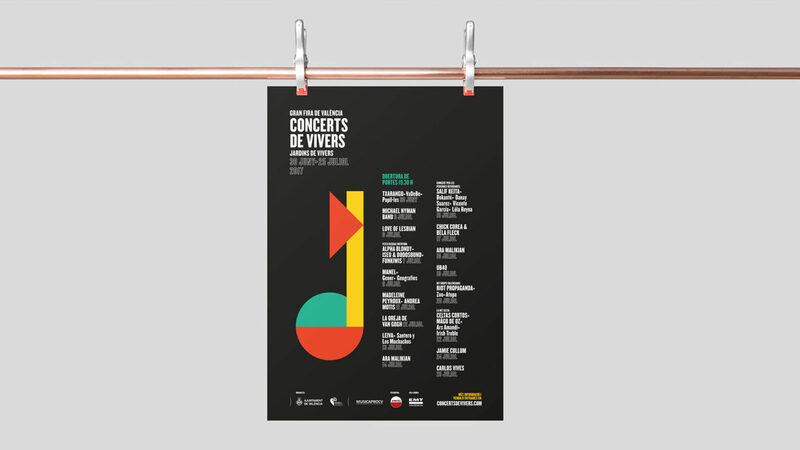 We have created a colorist graphic, with a clear and forceful typography. 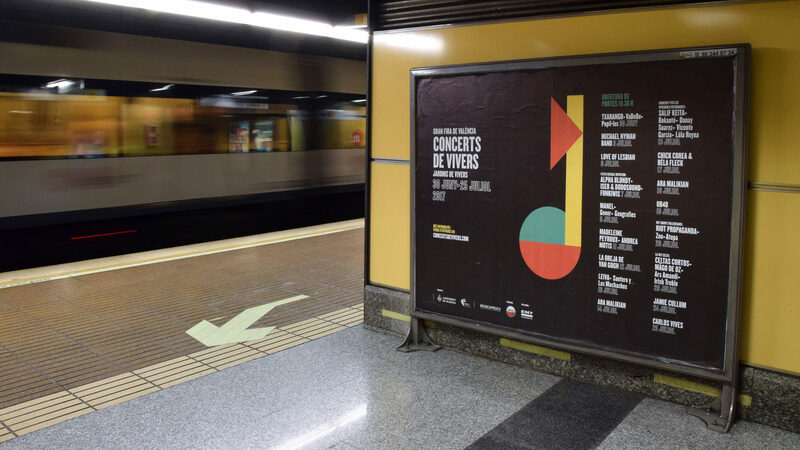 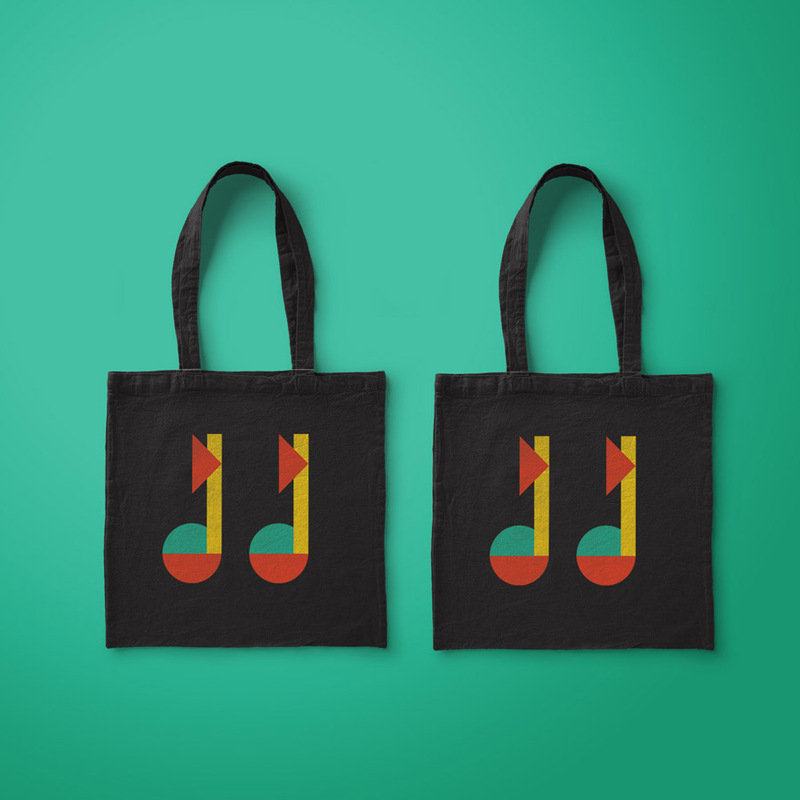 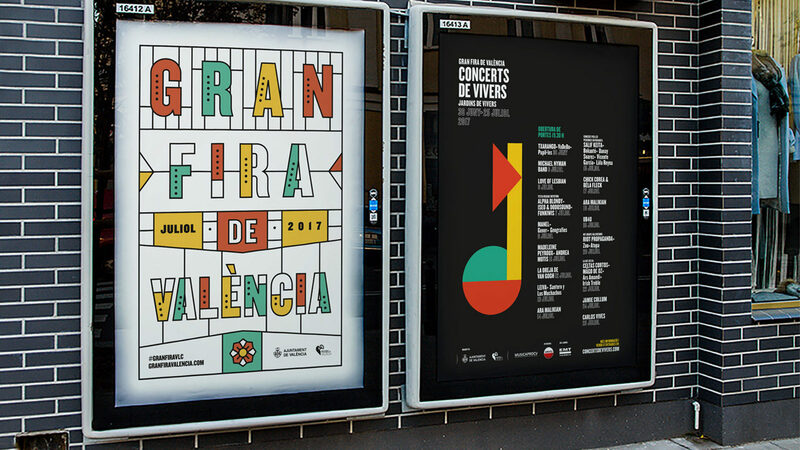 A musical note made of colorful geometric shapes to give color to the musical nights of the Great Valencia Fair. 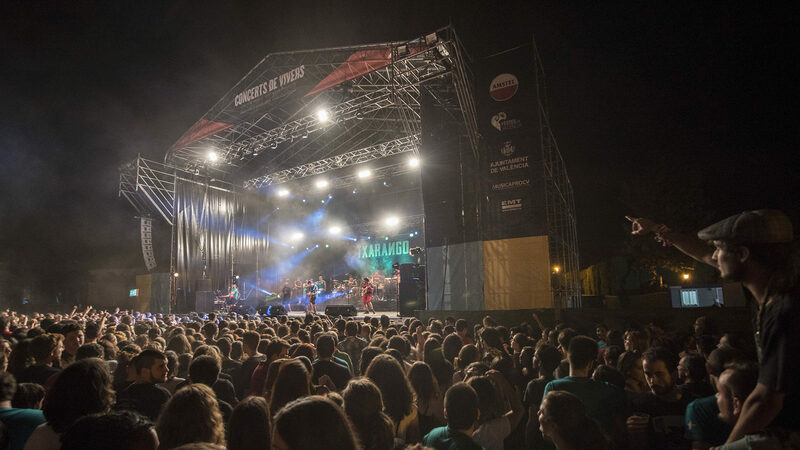 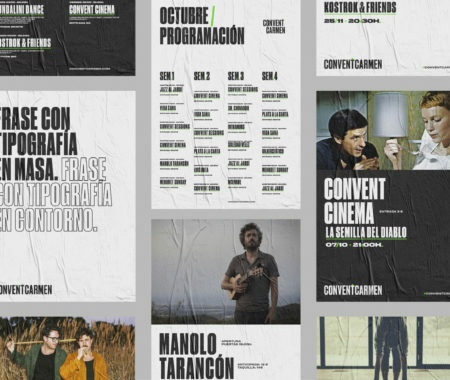 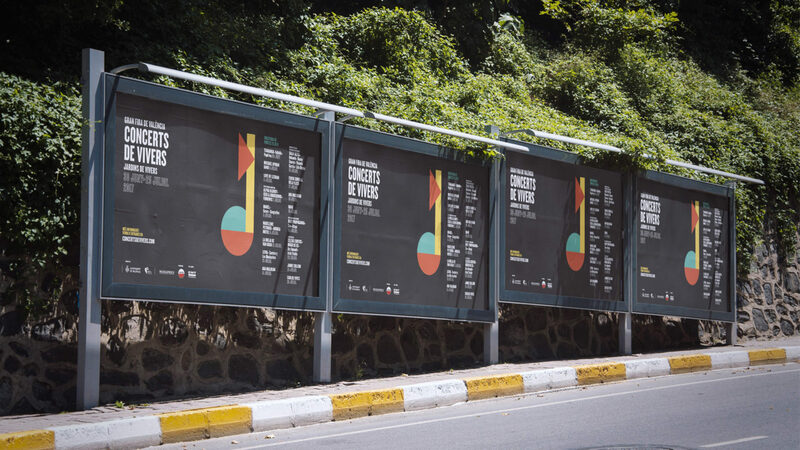 Dentro de la programación, cabe destacar los Conciertos de Viveros que suponen todo un mes para disfrutar de música al aire libre. 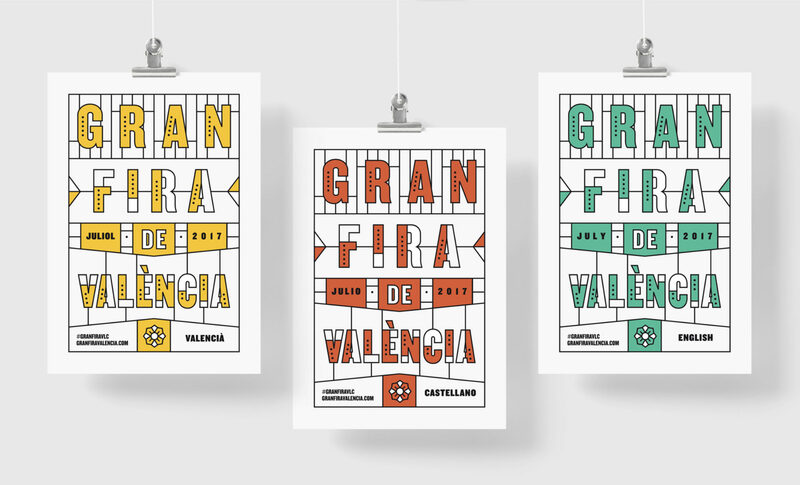 Para ello hemos creado una gráfica colorista, con una tipografía clara y contundente. 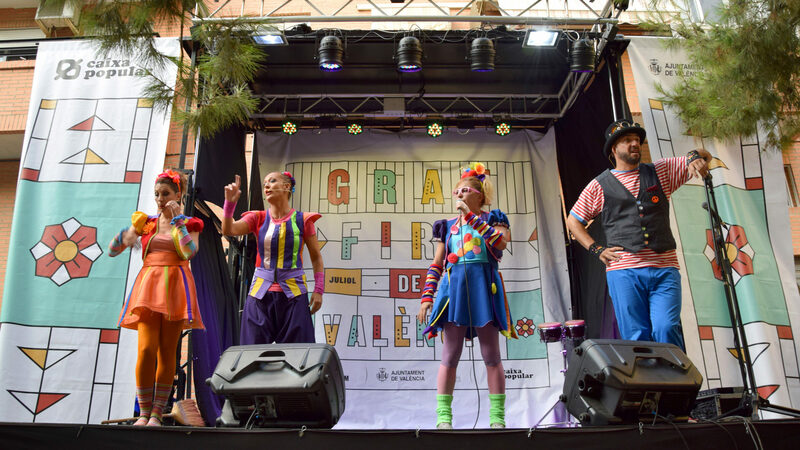 Una nota musical creada a través de formas geométricas coloristas para dar color a las noches musicales de la Gran Fira de València.